For all the other oyster lovers out there, Maison Premiere is definitely one of the best places to visit. 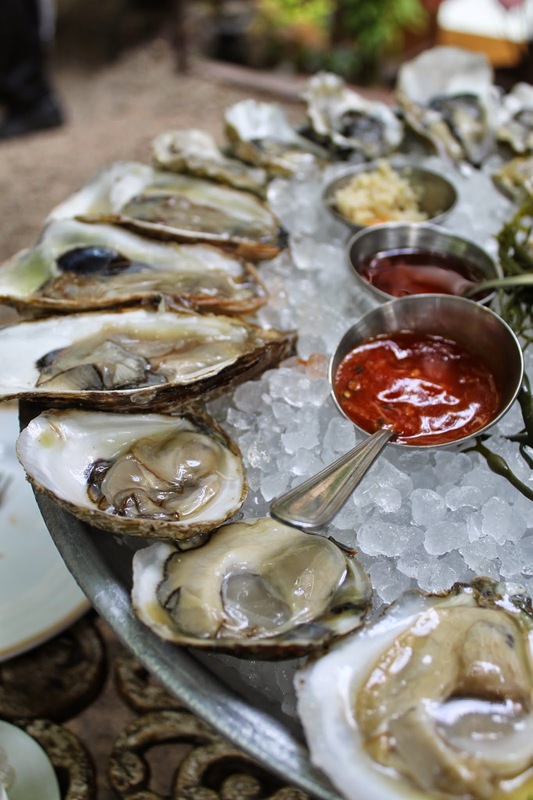 The bar offers $1 oysters on a wide selection from Monday to Friday 4-7pm, and Saturday and Sunday from 11am-1pm. When I last visited a few years ago, the $1 deal was only a weekday thing, so I've only ever been able to take advantage on summer Fridays when off work. In the future, I already plan to go back on weekends in the fall/near future! There was a line of around 10 people by the time we arrived at 3:45pm on Friday. The doors open at 4pm, so be sure to get there early. Especially if you want to sit outside. Love the suspenders and old school vibe. 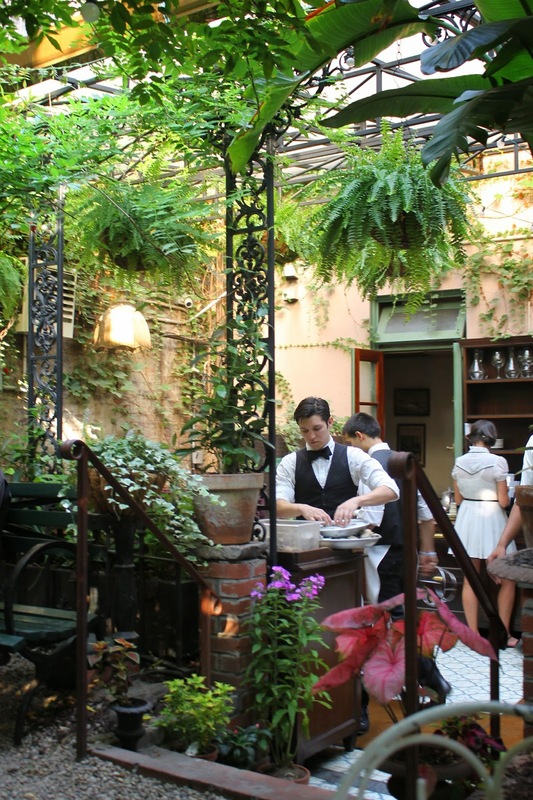 The garden has around 8 tables (most seat 4). We were told that we'd need to return the table before 6pm since there was a dinner reservation for that outside table. 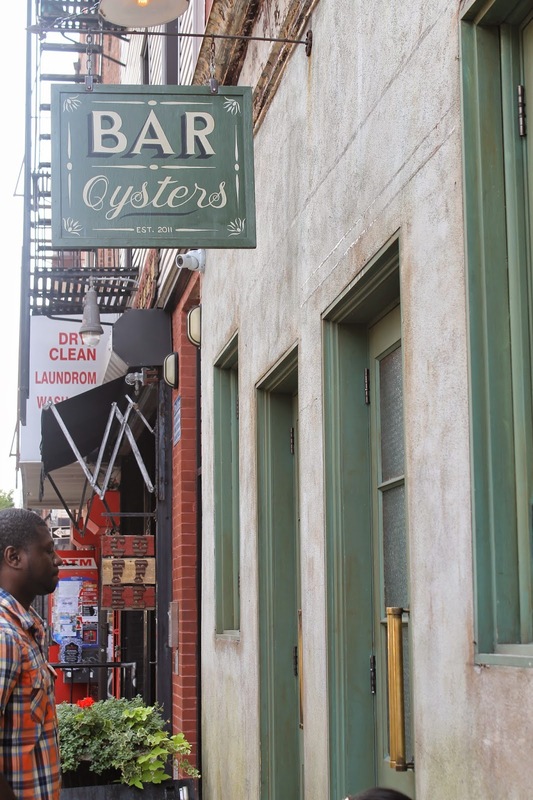 We were fine with that since we only planned to eat oysters. There is a dinner menu, but the selection is very small. The bf ordered a scotch drink, and I had the Maison Summer Pimm's No. 12-- Pimm's, perry's tot gin, tarragon, lime, watermelon. Although the bar is known for their wide range of absinthe drinks, I just do not enjoy the licorice taste. 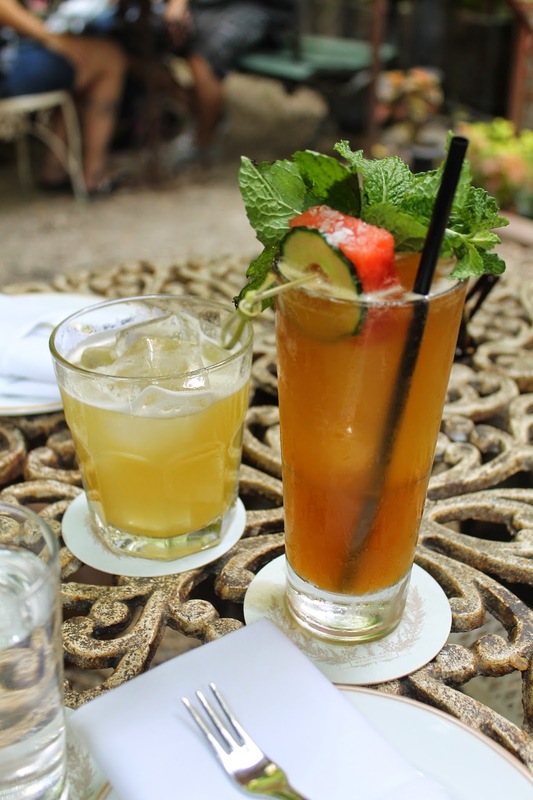 The server recommended the pimm's cocktail to me, and it was perfect-- summery, strong, and refreshing. We both enjoy oysters of all kinds. We had 36 (yes, 36) oysters between the two of us, and most enjoyed the Sewansecott for its full flavor, and the Evening Cove for its briny taste paired with buttery and silky textures.